AIUSA is a leader in the efforts to close Guantanamo Bay prison and seeks to have the detainees tried in civilian courts or released. 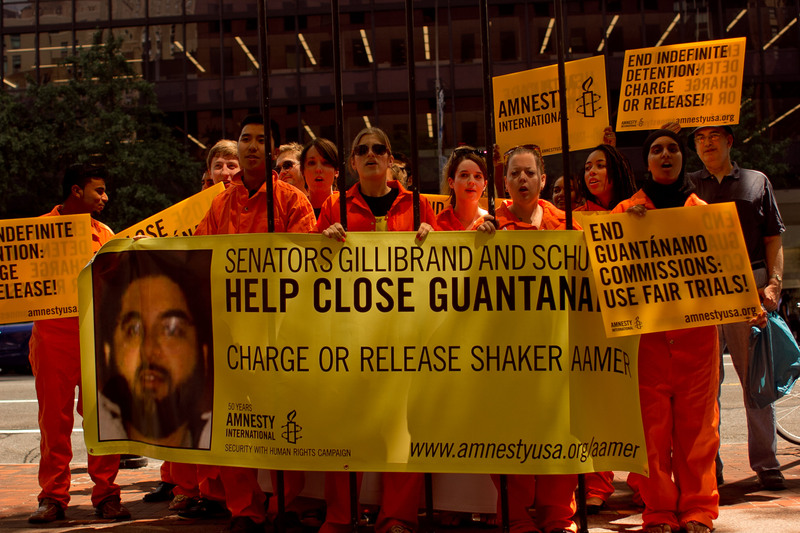 On August 17, 2011 AIUSA rallied by the offices of Senators Schumer and Gillenbrand to vote against a provision in the Defense Authorization bill that would have the effect of keeping the prison at GTMO operating indefinitely. Shaker Aamer has been held at GTMO since 2002. He is a British resident and the UK and US have been negotiating for his return to Britain since 2007.